So you've given up chocolate or Facebook or alcohol for the last bazillion years. It feels good to take a break from something and reach that goal of making it through a whole 40 days (plus Sundays if you are like me and think partaking on Sundays is cheating but I am open for others to make their own decisions about that). I will admit that I am a recovering overachiever when it comes to Lent. I have been known to give up 3 or 4 things and take on 2 more. That is NOT the point of Lent. But through all of my massive amounts of Lenten disciplines, I have a few ideas of things that offer a more positive journey through Lent - taking on reading the Bible, helping your community, learning about saints. Do you mean to read the Bible and then it often gets pushed down the to do list? Let's make it a priority together during Lent and Easter with The Good Book Club. The Episcopal Church, Forward Movement and over 25 other organizations are reading the Books of Luke and Acts together now through Pentecost. There are lots of resources to help in this. 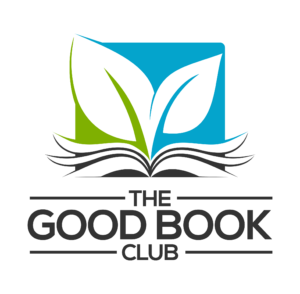 Grow Christians have articles on doing the Good Book Club with kids and teens. I will be reading with my children and hopefully blogging along with the Acts8 Movement Blogforce. They started yesterday so that they can do a full 50 days. Get reading! Do you want to do something different that can connect you more with your community and God at the same time? For the last few years, I have been doing 40 Acts. It is a global movement that started in the UK and has grown to over 100,000 people. Each day during Lent, you get an email that has a reflection and then 3 tasks to choose from. You get to customize it for what works for you, your time, your budget, and your level of commitment. Some days, all you will have in you is to pray for someone or make a short list but other days you will be all in, out on the streets making a difference. I encourage you to join me in 40 Acts. Let's encourage each other. I will post each days activity on Facebook and Twitter. We can Instagram pictures of what we are doing using #40acts. Come on a Lenten Journey with me! Watch this video from 40 Acts and sign up here to get your daily email! Each year at Lent, people worldwide participate in Lent Madness, the “saintly smackdown” in which 32 saints do battle to win the coveted Golden Halo. Calling itself the world’s most popular online Lenten devotion, Lent Madness brings together cut-throat competition, the lives of the saints, humor, and the chance to see how God works in the lives of women and men across all walks of life. See the 2018 Brackets here. I usually have a low level of participation on this one. I don't do a bracket ahead of time but vote each day on the saint based on the entertaining and persuasive write-ups by the Celebrity Bloggers. I have learned a lot about obscure saints but also many that I did know of but didn't know their complex stories. My favorite way to play is to follow their Facebook page for daily postings of the head to head matchups and who won the day before. What are you taking on or giving up for Lent this year?